I contacted Lawrence Taylor's Irvine office after being arrested for a DUI in Garden Grove. 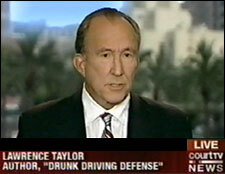 Mr. Taylor came up first when I searched for DUI lawyers in OC. Hiring Mr. Taylor has made it so much easier for me to move forward after such an unfortunate incident. They were able to handle everything for me without me having to ever come out to court and I was always updated with new information as soon as things came up. With a clean record, I can't be happier with Mr. Taylor's services! Good Law Firm, 2nd DUI, but got my license back, no jail time. Way better than my first lawyer. You should never drink and drive anywhere, but especially don't do it in la Jolla! Cops down here have nothing better to do then make your life miserable. It is also a college town which adds assault to injury. I should take my own advice because I was recently arrested for a DUI down in La Jolla. A friend of mine referred me to Mr. Taylor's office and I am extremely glad I got into contact with them. I hardly blew over the legal limit and did perfectly fine on the sobriety tests but still was arrested. Thankfully Mr. Taylor was able to help fight my case without me ever having to go to court and I was able to have the charges dropped. Extremely professional law firm with the experience to get you the results you want. I don't even know where to begin with what an amazing choice this firm turned out to be. First let me say that although this was my first DUI ever, it was a difficult and complicated case to say the very least. Mr. Chris Taylor made this awful time from my horrible mistake as easy as was possible to navigate through and finally resolve. His knowledge of the courts and his relationships from working with them for so long and so often clearly helped me out, he knows all the players by name from his time working there in the past. In fact that's how I was led to hire him. A friend of a friend currently works as a public defender and when the time came she said if it was her family member in my situation she would unquestionably seek out this firms help instead of even thinking of the public defenders office. She was right. I'm confident I'll never need this sort of help again, but I'd recommend him without hesitation to any of my friends or family for sure. Mr. Taylor and his team are extremely professional letting me know that I was in the best of hands. I was in a very difficult situation and had no idea what to expect and how it was going to affect my life. They were able to guide me every step of the way to help me feel confident and at ease. The work that Mr. Taylor and his firm has done helped me keep my record DUI free; something I am truly grateful for. Lawrence Taylor truly saved me. He and his firm lived up to their reputation as #1 and more. To be honest, I didn’t expect to get more than handling my court and DMV dates. But they were sincerely caring of my situation, and showed every effort to speak to me personally and get to know me. Best of all, they were able to get that DUI off of my record and get my license back. I would HIGHLY recommend Mr. Taylor and his staff to anyone in a situation like I was. They set my mind at ease during a difficult time and not only made me feel safe, but kept me out of a potentially horrible situation. I couldn’t have asked for a better DUI lawyer. From the moment I was in need of a DUI lawyer and found Taylor’s firm, I began to feel at ease. Not only is the entire staff helpful, but they’re genuinely caring and responsive. These guys created a level of expertise other lawyers should be striving for. After that one dreadful incident, I knew i needed to find the best firm possible for DUI defense. After shopping around for the best defense in town. I was able to find Jared from the LT's firm and couldn't be more greatful for his dedication and work. The DUI charges were aquitted and I could not be any happier! Our San Bernardino DUI lawyers welcome you. If youve been arrested in San Bernardino County for drunk driving, our DUI attorneys are prepared to defend you in court against criminal DUI charges and at the DMV to restore your driver's license. Each San Bernardino DUI lawyer is highly experienced and narrowly specialized: We’ve focused on representing clients charged with drunk driving since 1979. Our attorneys appear in the Superior Courts of Rancho Cucamonga, Redlands, Fontana, Chino, Barstow, Victorville, Big Bear and San Bernardino. 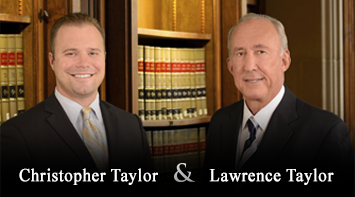 The Law Offices of Taylor & Taylor is a nationally known firm of DUI defense attorneys. The DUI attorneys, who average 24 years of experience and include 2 former prosecutors, are unique in having their own technical support staff of former drunk driving law enforcement experts. With a national reputation as The Dean of DUI Attorneys , Mr. Taylor is a former prosecutor, Fulbright Professor of Law and Dean of the National College for DUI Defense. He is the author of the standard textbook in the field, Drunk Driving Defense, 7th Edition, and has lectured on DUI strategies and techniques to DUI defense attorneys in more than 38 states. The laws governing drunk driving have changed dramatically over the past years, becoming broader in scope, more complex in legal procedures and dramatically more severe in punishments. In many cases, a DUI conviction carries consequences that are much more severe than those for many felonies, involving incarceration, heavy fines, long driver’s license suspensions or revocations, 3 to 5 year long probationary periods, attendance at months-long DUI schools, community service and life-long criminal records — not to mention the consquences involving car insurance rate increases or cancellations, and loss of employment and/or security clearances. Recognizing the law firm's reputation in the profession, the Law Offices of Taylor & Taylor has been awarded the coveted A-V rating ( very high to preeminent ) by the International Martindale-Hubbell Law Directory - the highest rating awarded to attorneys and one shared by fewer than 7% of all lawyers in the United States. The firm is also listed in the prestigious Bar Register of Preeminent Lawyers, and has been top-rated by both AVVO and Yelp. If you have been arrested for drunk driving in San Bernardino County, we invite you to meet our DUI attorneys, to review their experience and qualifications, and to read some of the many comments we have received from our valued clients. And please feel free to call our firm’s founder, Lawrence Taylor, or our Managing Attorney, Chris Taylor, for a free consultation concerning your pending criminal case and license suspension hearing. When I go to court, what should I bring with me? What happens in misdemeanor drunk driving cases? What are the procedures in a felony DUI prosecution? The Law Offices of Taylor & Taylor serves clients throughout San Bernardino County, including residents of San Bernardino, Barstow, Chino, Ontario, Rancho Cucamonga, Redlands and Victorville. and do I have to appear? What are the possible criminal penalties? Will hiring a DUI attorney make a difference? What does it cost to retain a DUI attorney?